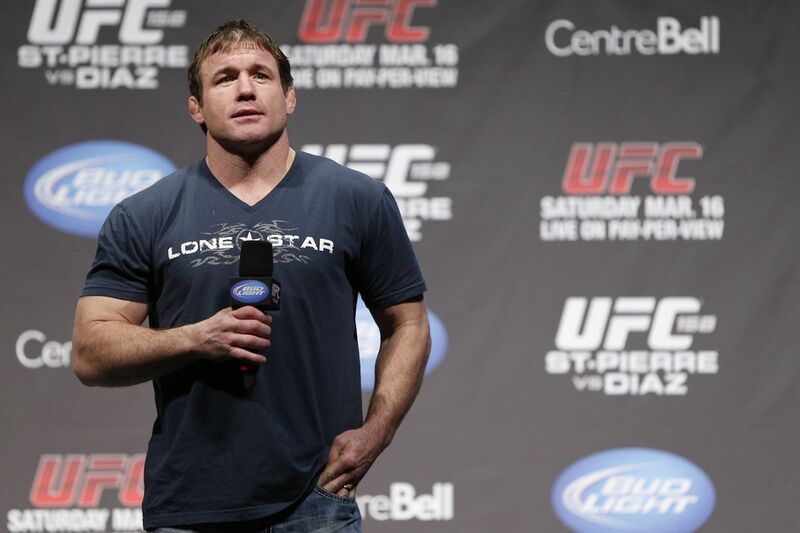 Matt Hughes is “awake and responsive” one day after being seriously injured in a truck-train crash Friday morning, his longtime manager Monte Cox told MMA Fighting’s Ariel Helwani on Saturday. Cox, who is speaking directly with Hughes’ brother Matt, said family and doctors are “optimistic and hopeful” about Hughes’ condition. Hughes, 43, was driving a pickup truck Friday morning in Raymond, Ill. Per the Illinois State Police, the legendary UFC fighter approached a “railroad grade crossing marked with crossbucks” in the truck. The truck crossed the tracks “directly in front of a train and the train struck the passenger side of the truck,” according to the police release. The Illinois State Police Crash Reconstruction Unit is still investigating the cause of the crash and there are no updates as of Saturday afternoon, per a spokesperson. Hughes is one of the greatest champions in UFC history, holding the welterweight title multiples times between 2001 and 2006. He owns victories over the likes of BJ Penn and Georges St-Pierre. Hughes retired from competition in 2011, but recently discussed a comeback.